publishing tips | PLAN. WRITE. PUBLISH. First, my apologies for the long title! I normally try to keep things as succinct as possible, but I need to get YOUR attention. There is one simple way every author with a quality product can both promote their book AND gain author credibility at the same time. Ready to here it? SUBMIT YOUR BOOK (OR MANUSCRIPT) FOR AWARDS! This seems easy, and yet is so daunting for many authors. You can’t win one until you apply for one (or twenty), and while applying seems easy at first, many authors begin to wonder, “what qualifies MY book for this award?”. That niggling self-doubt often prevents authors from submitting their books for any awards. That, along with the application fees. “How do I know it’s a legitimate award?”. To the first question I say that you should do your research, but be prepared to invest in yourself. Whether you have written a non-fiction or fiction book, you are going to have to spend some money on it. You should have already invested in the book cover and editing, so why not take it a step further to gain some recognition for those initial investments? Do not spend thousands on applications, but pick a few awards that have your book category and go for it. To the last question I ask: does it matter? How many readers have a running list of ALL the “legitimate” book awards? How many really pay attention to what award you won? They are looking to see what credibility you have, starting with reviews but accentuated by awards won and other accolades gained. If you published your book the right way, your phenomenal book cover and stellar editing are screaming “Go for it!”. If you know you did not, well check out some tips on publishing. It’s not too late to get it right the second time. If you are still in the manuscript phase and without a contract, never fear! There are at least three awards you can apply for below. Note: If you are a non-fiction author or business owner, I also highly recommend applying for personal awards in your fields of work. Again, if you are doing something worthwhile then you qualify. Take the time to toot your own horn and gain credibility for yourself and for the work you do. 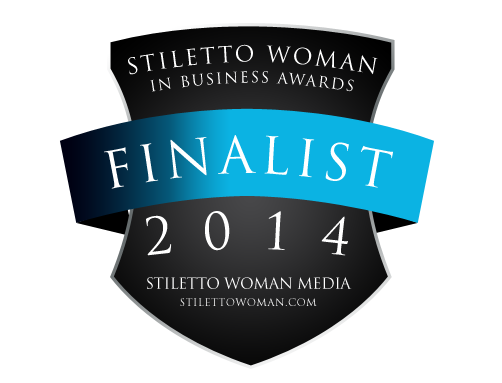 If I had not taken the chance, I would not currently be a Stiletto Woman In Business Award Finalist in two categories: Entrepreneur of the Year and Business On The Rise. For those ready to move forward, I have compiled a list of awards that I have recommended to my own authors and plan to seek for myself where it’s applicable to my book, The 7-Step Guide to Authorpreneurship. Feel free to add additional awards in the comments, I will try to keep this list updated with your feedback. Shirley You Jest! Book Award http://www.shirley-you-jest.net/#! I speak to authors regularly to help them organize their writing and create publishing plans that fit their goals and economic status. While one of the biggest barriers to self-publishing is usually funds, the second usually is lack of information or research. Traditional publishing is nice if you have the patience for it and don’t mind letting someone else take over, but for those who like be in charge here are a few good reasons to self-publish, as well as some major pitfalls. 5. No Rejections! This is one that resonates with every author. No one likes to be told no, especially if there is not a clearly identifiable problem with your manuscript. While this is a perfectly good reason to go the self-publishing route, which will ensure your publication, rejections are a motivation for some authors to improve on their work. Pitfall: Without an honest, third-party assessment of your manuscript before publishing, you can end up with a sub-par product that destroys your reputation as an author. How to Avoid It: Find a professional editor to provide you with honest feedback. Some have a process for this type of review, while others charge an hourly fee. The goal is to not only get feedback, but also suggestions on how to resolve your issues. Companies like EverFaith Press provide a Rubric with their manuscript assessments which allow you to see your problem areas and how you can fix them. 4. Editorial Control. This perk of self-publishing is great for authors who like to be in the know. You have the ability to interview and select your own editor, or at least set the parameters for success and their interaction with you. Pitfalls: Selecting the wrong editor by going for the lowest cost only. Another big mistake is ignoring your editor. If you have selected your editor wisely, it is important that you take the time to weigh and value their input. How to Avoid It: First, make sure that you request a sample edit. Any editor that takes on your book without first reviewing your manuscript is no one you should work with. They need to see your manuscript to determine if they can help you or not. Second. when selecting your editor, have a conversation with them about their editing style and how they work with authors. Vibes are not sufficient, but if you combine your “personality assessment” with their assessment of your manuscript and sample edit, you will have all of the pieces needed to make an educated decision. 3. Design Input. Many traditional publishers work on your design for you, and your input is limited if allowed at all. When self-publishing, depending on how you go about it, you are able to veto covers you do not like and creative control over the design concepts. Pitfall: Design input is only a plus if you have options and are working with a skilled designer. Using a self-publishing press can be a benefit here, because they typically make deals with quality designers based on book quantities to get you the best pricing. When approaching the same or similar designer, your costs can triple and push you towards a cheaper more sub-par choice. How to Avoid It: Look for promotional specials when you review the work of graphic designers, and make sure that they have experience with creating at least 5 book covers for print publications. Don’t hesitate to interview them, and if you really don’t have the time to do the legwork then visit small presses like EverFaith Press and Believers Press. They both have contractors who can provide sample work from established designers for you to choose from. 2. Higher Royalties. It’s good to get paid, and it’s even better when you can set your own rates. This is the number 2 best reason to self-publish, because you see an immediate return on your investment. It takes a while to recoup the publishing costs, but to many authors it’s worth it. Pitfalls: There are four major pitfalls here 1. Not setting your own royalty rate, 2. Setting your rate too high to reinvest in your work, 3. Not setting your royalties aside for personal use and 4. Not using the book revenue to reinvest. How to Avoid It: Being a smart business person is one of the key skills you will need to be a successful authorpreneur, but it’s not something you can learn overnight. The quick lesson (or reminder) is that you have to both pay yourself and set money aside to further your book marketing plans. Creating your own contract to set your royalty rate lets you make a little money back from your work, while reasonably setting aside the remainder for a business account. You can save that money and use it invest in any future book plans that you may have. 1. Access to Final Files. There are no major pitfalls here, and honestly It’s the most important reason to self-publish carefully. Many companies are happy for you to pay them to produce your work, and are only satisfied if they can keep you coming back for more. They force your hand by not providing you with your final files so you have to go through their more expensive channels for any print needs. EverFaith Press has the advantage on most self-publishing companies here, as it is in their standard agreement to provide the final files to their authors. They keep you coming back because their print costs are one of the cheapest in the POD world, and the turnaround time is phenomenal. Pitfalls: If you do get a copy of your final files, make sure not to corrupt it! If you do not have the knowledge of InDesign or whatever layout tool they use, do not try to figure it out using your file. If you destroy it, you most likely will need to pay to have it recreated. How to Avoid It: Maintain a back-up copy of all publication files, then make a back-up of your back-up. Preferably, you should store your files on a Cloud drive and on an external drive. This protects your investment and ensures that you have a copy of all final files for future changes or editions. These are just a few good reasons to self-publish, and there are many reasons to traditionally publish as well. In the end it is up to you the author to decide what will work best for you. Have you been published, or self-published your own book? What helped you to make your decision? Share your answers below! Everyone has key phrases that they tend to use frequently. Some of those key phrases also might be used by others, repeatedly. We’ve all heard them, they’re called clichés. It is very easy to introduce clichés into your book. While there are instances where a cliché might be necessary and effective, such as when you’re establishing a character’s voice, constant use tends to make your writing feel monotonous for readers. Used too frequently, clichés tell the reader that you are a) Too lazy to come up with an original way to phrase your passage, b) Too unoriginal to come up with an original way to phrase your passage, or c) Just a bad writer. These three things can be commonly linked. If there are specific phrases that you know to use too frequently, it might be useful to use Microsoft Word’s “Find” feature to pinpoint them in your revising. What clichés do you find yourself prone to using in your writing? This jubilant response is not wrong— it’s just premature. 1. Put some distance between you and your manuscript. No one— and I mean no one (I’m talking to you, Anne Rice)— can see something they wrote objectively. When your manuscript is freshly written, you’re going to see it even LESS objectively than you might later. The first step to effectively self-edit is distance. Give it at least a few days, if not weeks or months, before reviewing your manuscript so you can see the issues as clearly as possible. 2. Read your manuscript backwards and out of order. Reading your work out of the natural order allows you to see your writing with new eyes, to question the sequence in a way you might not otherwise. It also takes your focus off of the structure so you can pay closer attention to the effectiveness and correctness of each individual line and word. 3. Invite your smart and thoughtful friends to help. Host a reading party with cheese, crackers, and juice! Pass the chapters of the manuscript around in a circle, allowing several people to edit each section. Even when you put distance between you and your manuscript, other people will see it like you never could. Chances are you “overwrote” the first draft. Every writer does. There’s no such thing as good writing— only good rewriting. To rewrite well, you need to remove sentimental attachment to different words, phrases, or passages, and truly analyze their effectiveness. Don’t add, cut. When you have your reading party, you may wish to have your friends suggest cuts wherever they feel necessary/the pace gets bogged down. Finally, after you’ve read your manuscript backwards, sideways, and out of order; hosted your reading party; and made all the necessary edits that have resulted in a new, cleaner and fresher draft, it’s time to do the final check. From beginning to end, by yourself, read the manuscript aloud. Notice any passages where you stumble, and polish them. When you force yourself to read each word aloud, you will notice misspellings and typos that your eyes glossed over before. Writers: What tricks have you used in editing your own work? We’d love to hear from you! Many people deal with this getting-published issue when writing their books. Finding an agent first and then the long struggle to find a publisher for your work can be discouraging. People often give up after numerous rejections and decide to self-publish. I am published traditionally which means my books are contracted and I receive an advance on royalties, royalty statements and checks covering new royalty payments twice a year, a guarantee of a certain number of author books mailed to me free of charge. My books are distributed by major distributors to bookstores and retail and grocery stories across the US and Canada and are sometimes translated into other languages and sold in other countries. My books are also promoted by my publisher with advertising through the mail, in publisher catalogs and on various media such as radio and TV spots and in magazines. They also do mailing campaigns and offer special discounts to encourage new readers. The hard part is writing a book that can pass through a committee of people to deem it worthy of publication, meaning you have provided an excellent product that will appeal to the publishers readership. If you are rejected, this can mean several things. Your project doesn’t meet their current needs, someone has written a book too similar to yours, you’ve submitted a genre that doesn’t match their publishing needs or their mission statement, or that your work is not ready for publication. Continuing to hone your craft is a good element of rejection. No matter how many novels you’ve written, continuing to learn to be the best author you can is vital to making an impact on readers and bringing in new ones. Few readers buzz about a bad novel – except family and friends. Once you sell your novel, you will work with your editor along with a copy and line editor to produce the best book you can. They will provide excellent artist to produce your cover and they will write the back cover blurb (unless you choose otherwise) and take care of all the copyright on your novel. You may have the opportunity to approve the cover and the blurb, but this often depends on the publisher. Self-publishing and POD publishing (Print on Demand) often puts the burden on the author to edit, revise, create a cover, write a back blurb as well as market, promote and distribute their own product. Seth Jacobs has it all — a successful business, a mansion in greater Boston, a beautiful wife and three loving children. Yet, in a series of events beyond his control Seth loses everything, including his health. Struggling to find some understanding amidst his pain, Seth’s faith is challenged further by his wife Maria, who betrays him, and even his friends, who suggest that perhaps God has His reasons for inflicting so much suffering upon him. At the end of his rope, Seth meets Lucille O’Hanlon, a young yet wise social worker who tries to help him realize the spiritual solution he so desperately seeks. Lucille also begins to fill the void left by Seth’s losses, and as they grow closer together, he must finally determine if their relationship is of God’s Will or just his own. Seth questions God as we all do in times of hardship. With Lucille’s help, he finally receives an unexpected answer to his despair and is faced with decisions that will determine the new path his life takes. A modern-day story based on the Book of Job, The Faithful One inspires us all to have a little faith no matter what.